The upcoming Supergirl TV series is moving closer to becoming a reality. Over the last several weeks we’ve learned about some of the characters that will be interacting with Kara Zor-El, and the actors who will play them. Now it’s been announced that Chyler Leigh and David Harewood will be playing two of the biggest players in this series: a loved one and a potential enemy. 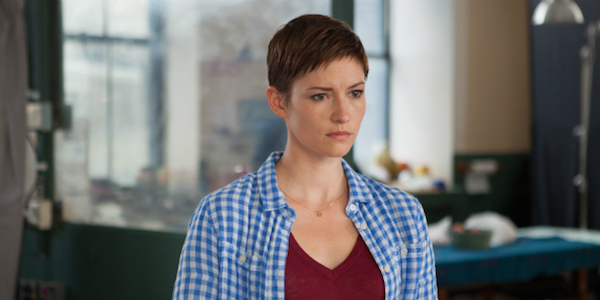 Chyler Leigh has been cast as Kara’s foster sister Alexandra, according to Variety. Her fascination with her sister’s powers during childhood led to her pursuing science and becoming a doctor. Alexandra was the second lead character to be announced after the superheroine herself, so although she didn't originate from the comic books, expect her to play a crucial role in the series. Especially considering that she’s one of the few people that knows the truth about Kara. One imagines that the two of them will be frequently discussing Kara’s superhero adventures in private. 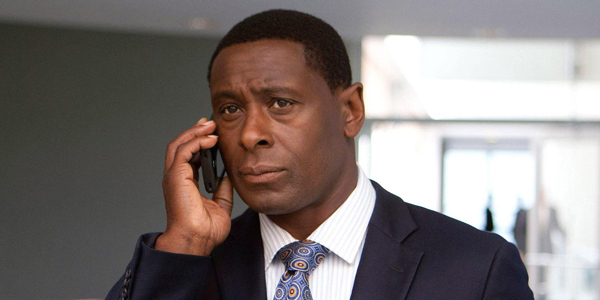 On the opposite end of the spectrum, David Harewood has been cast as notable Superman villain Hank Henshaw. A former CIA agent, Hank now leads the DEO (Department of Extranormal-Operation) in tracking extraterrestrial threats on Earth. No word yet if this version of Henshaw has a history with the Man of Steel, or if he will one day become the Cyborg-Superman like his comic book counterpart, but an earlier character description stated that he wonders if Supergirl’s arrival would “pose a threat to mankind.” With a whole government division’s resources under his control, he’s bound to be trouble for the Girl of Steel. Leigh and Harewood join a cast that consists of Melissa Benoist as the titular character, Mehcad Brooks as Jimmy Olsen and Calista Flockhart as Cat Grant, as well as Laura Benanti recurring as Kara’s Kryptonian mother Alura Zor-El. The only previously announced character left to be cast is CatCo programmer Winslow “Wynn” Schott, better known to comic book fans as Toyman. Leigh is most famous for her roles as Dr. Lexie Gray on Grey’s Anatomy and Detective Caitlyn Sullivan on Taxi Brooklyn. Harewood’s credits include playing Joshua Naismith in the Doctor Who two-part special “The End of Time,” a recurring part as David Estes on Homeland, and a regular role in the shortlived comedy Selfie. Supergirl has earned a series commitment from CBS, although no air date has been announced.